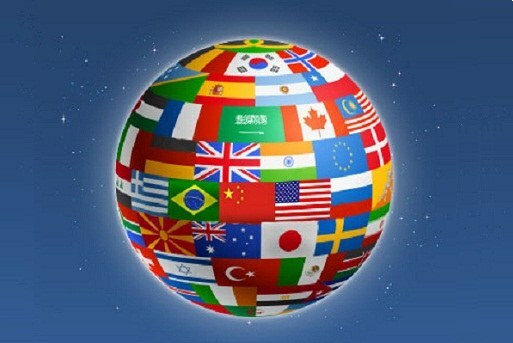 To be able to use information from the web pages published in different languages, do not need to be a polyglot. Machine translation tools – both offline and online – carry out a quick text translation of any volume. It's not always the translation is good, however, to understand the content of the web pages with the help of robots-interpreters is still possible. Search engines Google, Yandex and Bing in the search results offer a translated web page as a reference the string "Translate this page" or "Translation" next to the search results. By clicking on the link, you load the original pageand its translation. However, this is only possible if you use one of the browsers that support the function of translation, in particular Internet Explorer, Google Chrome or Opera. If you for some reason are not satisfied with Internet Explorer, download and install Google Chrome. In this translation of pages is set by default to have the opportunity to read the translated pages do not need to take any further action. If the string "Translate this page" in the search results does not appear, click on the key sign in the browser window, select "Options", in the opened window click on option "More" and tick the box before the line "Offer to translate pages if I don't speak the language in which they are written." If you use Opera as a search engine, you must install Google, Yandex or Bing. To do this, open the browser, click the triangle icon drop-down list in the search bar and select one of the listed search engines. If they or one of them is missing from the list, select "Configure search", click in the opened window click "Add" and enter the name of the search engine that you want to add to the browser. Then click on OK to start the process of adding the selected search engine. Sometimes you need to translate only a small piece of text on a web page.In this case you can use "Google Translate Client", engaged in translation of only the text that is selected by the user. Download from the website http://translateclient.com/ru/download.php the Desktop Client for Google Translate called differently Translate Client. Install it on your computer. After installing and running program on the taskbar icon appears as a blue or orange square. Click the right mouse button, select "Language" and set the translation language. Then click on it twice with the left mouse button and at the bottom of the window that opens select Microsoft translator. To translate any piece of text (not only in browser, but any editor or program) select it with your mouse. After selection next to the text there blue badge. Click on it. In the pop-up window displays the translation of a selected text. The translated text can be sent to the clipboard by clicking on "Copy" at the bottom of the window, or to replace the selected text (if it is not on the web page and in the editor) by clicking on "Replace". If after the selection the icon next to it appeared, to make a transfer, click the icon located in the taskbar. Program Translate Client is universal. It translates text in any editor or program from any language to any. It is a pity, since December 2011 Google has made the service his translation in her charge. To use it, you need to buy and install the professional version of Translate Client. The free version of the program as a translator remained available only to Microsoft.